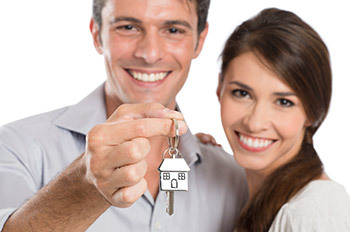 When you choose to list your home with Evolve, you are not getting just your average Realtor. Evolve has some of Denver’s most experienced professionals to guide you through the entire selling process. We strive to make selling of your home smooth and seamless. Our Denver realtors use the most proven and innovative techniques in order to get you the top dollar for your home. From advice on staging your home to the popular social media advertising, we’ve mastered it all and are ready to put our expertise to work for you. At Evolve we also understand that each transaction is different, each client is different and we try to meet your every need. Whether you are an out of state seller of investment properties in the Denver area or simply want the best, knowledgeable agent to represent you in the sale of your home, we can help. Our Denver realtors and entire staff’s commitment to personal service for our sellers is unparalleled. We will keep you informed and be available to you around the clock. The first step to having a successful sale is determining the perfect selling price of your home. At Evolve, we do a lot of research and provide our sellers with a comprehensive market analysis in order to determine the best pricing strategy. If you wish to receive a free, no obligation market analysis of you home, please submit the form below. All information you provide will be kept strictly confidential. This lady is awesome!!! Marina managed my property for two years, and did an outstanding job, when I chose to sell the property she was again outstanding. Marina was so professional, honest and knowledgeable I was able to do all my business with her over the phone, never once feeling the need to travel to Colorado. I live in Costa Rica and Alaska, and to be able to have this kind of service is invaluable.